As the Nile with its overflowing waters floods the surrounding country, and covers it with fertilizing slime, bearing in it the promise of a rich and laughing harvest, so the genius of Norton overflows its banks far and wide, while he makes known to us the glorious works of Nature. He spreads himself abroad over an immensity of space, that he may fertilize the fields of Alchemy, and rejoice the hearts of its husband men. If you are fortunate you will catch beneath this wide expanse of waters a fish which will satisfy the longing of your heart. And if you fail of success, yet your mind will be stored with the precious treasures of knowledge, and you will in any case be richly rewarded for your labour. The treasures of Hermes are not laid open in one book: perhaps one writer may render clear to you what another fails to explain. THIS Book shews to the initiated knowledge, but intensifies the ignorance of the vulgar. It is the book of honouring, increasing riches, and the book of the needy, putting to flight poverty. It is the book of confidence and truth, full of counsel for kings and of teaching for prelates, a book useful for sainted men, who wish to live unspotted of sin; a secret book, the Book of the Gift of God, to chosen men a pathway of true hope, a strength to those constant in firm faith, and who unwaveringly believe in my words. Alchemy is sought by the false and the true—by false seekers without number, but they are rejected. Many are aflame with the desire of gain, but amongst a thousand thousand scarce three are chosen. There are many called to knowledge, noble and poor, learned and ignorant, but they will not submit to toil, or await the time; they do not attain to the goal because they are ungrateful. The Book of our Art is clear as light to the sons of knowledge, to whom God has freely given to understand this matter. Only let them believe this prophetical saying; to the thankful all flows forth from the fount of Divine love. This noble science is bestowed only on those who love justice with a devout mind, but to the deceitful, the treacherous, and the violent it is denied, because their sin's hinder the coming of God's gifts. This knowledge would often have been the glory of England's Kings, if their hope had been firmly placed upon God. [paragraph continues] One who shall have obtained his honours by means of this Art, will mend old manners, and change them for the better. When he comes, he will reform the kingdom, and by his goodness and virtue he will set an everlasting example to rulers. In his time the common people will rejoice, and render praise to God in mutual neighbourly love. O King, who art to accomplish all this, pray to God the King, and implore His aid in the matter! So the glory of thy mind will be crowned with the glory of a golden age, which shall not then be hoped for as future. To the honour of the One God, who is Three Persons in One, this book has been written, in order that, after my death, learned and unlearned men might see how every one who will follow my good counsel, and ponder it well before he begins the work, may obtain great treasure through the Art of Alchemy. But the book is also a storehouse of mighty secrets for the learned. Let me warn the unlearned that they must study this Art with fear and trembling, lest they be led astray by the false delusions of those who counsel many costly experiments, and use high sounding words. For my part, I desire none of that fame which the world can give, but only your prayers to God for me, though you need not utter my name. Let no one trouble himself about the author, but rather let him diligently consider the contents of the Book. If you enquire into the motives of men, you will find many who are induced to give their minds to the study of Alchemy, only by the desire of gain and riches; and such men are found even among Cardinals of highest rank, Archbishops, and Bishops of lofty order, Abbots and religious Priors, also among hermits, monks, and common priests, and among Kings, princes, and lords of high degree. this Art, he should be a lover of justice and truth; nor let him be too eager in his own mind to follow this Art on account of its outward advantages. He who would enjoy the fruit of his labour, should be satisfied with such wealth as is sufficient. Let him not waste time and trouble on divers methods of procedure, but let him follow the directions of this Book, which is called the "Ordinal of Alchemy," the Crede-mihi, an everlasting standard. For as the Ordinal instructs the presbyters concerning the ministry of the days which they must observe, so all the true and useful teaching of ill-digested books on Alchemy is here set forth in proper order. Wherefore, this Book is of inestimable value for the acquisition of the precious science, nor can its truth ever be denied, though it be composed in an unassuming style. As I have received this Art by Divine Grace, so I set it forth to you in seven chapters as fully as my fealty will permit. For I remember what is said about the judgment of God at the last day. The first chapter will shew what persons from among the common people can attain to this knowledge, and why the science of Alchemy was by the Ancients called blessed and sacred. In the second chapter will be set forth the wise joy and the long labours of those who follow this Art. The third chapter will, for the sake of my fellow-men, contain a faithful description of the substance of that Stone which the Arabians call the Elixir. There you will learn whence it is obtained. The fourth chapter will treat of the gross part of the work, which is foul and little suited to delicate persons. 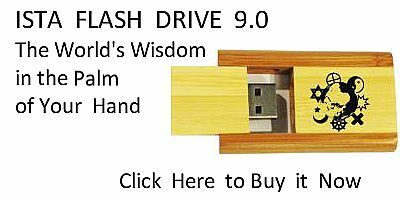 The fifth chapter is concerned with the subtle part of the process which God has ordained for the learned only, but which few of the learned ever comprehend; so that the secret is really possessed by very few. The sixth chapter deals with the question of proportion, and with the agreement of this world below with the sphere of heaven above, of which a right understanding greatly helps many learners, and proves of great assistance to them in our wonderful Art. The seventh chapter will truly set forth to you the principles in accordance with which your fire should be regulated. Now, O Lord, do Thou guide and assist me, for I desire to gird myself to my task! Everyone that shall happen to read this Book, I implore to offer up prayers for my soul, and not to alter that which I have written, for the better or for the worse, on the pain of my most grevious anathema. For where the sense is obscure this is for the purpose of secrecy; but if a single syllable be altered in a critical passage, it may destroy the value of the whole book. Therefore, see that which I have written be preserved intact, for though the language be humble, yet it conveys truths of most momentous importance, and it should be read not once or twice, but twenty times. Your best plan will be to read many books on Alchemy, and this one last of all. A MOST wonderful Magistery and Archimagistery is the Tincture of sacred Alchemy, the marvellous science of the secret Philosophy, the singular gift bestowed upon men through the grace of Almighty God—which men have never discovered by the labour of their hands, but only by revelation, and the teaching of others. It was never bought or sold for a price to any of those who sought after it; but it' has always been granted through the grace of God alone to worthy men, and perfected by long labour and the lapse of time. It was given to relieve the estate of man; it puts an end to vainglory, hope, and fear, and removes ambition, violence, and excess. It mitigates adversity, and saves men from being overwhelmed by it. Whoever has perfect knowledge of it, eschews extremes, and is content with the middle way. Some disdain to call this Art sacred, because they say that Paynims sometimes acquire a knowledge of it, though God cannot be desirous of conferring any good thing upon them, seeing that their wilful and stubborn unbelief renders them incapable of possessing that which is the cause of all good. Moreover, it is affirmed that our Art produces nothing but gold and silver, which are coined into money, or fashioned into cups and rings, but are approved and accounted by wise men the least valuable and precious of all things which are upon the earth; and hence men of this school conclude that this science, if judged by its effects, cannot claim to be regarded as sacred. To this objection, we answer what we know to be true, that the science of this Art has never been fully revealed to anyone who has not approved himself worthy by a good and noble life, and who has not shewn himself to be deserving of this gracious gift by his love of truth, virtue, and knowledge. From those who are otherwise minded this knowledge must ever remain concealed. Nor can anyone attain to this Art, unless there be some person sent by God to instruct him in it. For the matter is so glorious and wonderful that it cannot be fully delivered to any one but by word of mouth. Moreover, if any man would receive it, he must take a great and sacred oath, that as we his teachers refuse high rank and fame, so he will not be too eager for these frivolous distinctions, and that he will not be so presumptuous as to make the secret known to his own son; for propinquity of blood, or affinity, should be held of no account in this our Magistery. Nearness of blood, as such, does not entitle anyone to be let into the secret, but only virtue, whether in those near to us or in strangers. Therefore you should carefully test and examine the life, character, and mental aptitude of any person who would be initiated in this Art, and then you should bind him, by a sacred oath, not to let our Magistery be commonly or vulgarly known. Only when he begins to grow old and feeble, he may reveal it to one person, but not to more—and that one man must be virtuous, and generally approved by his fellows. For this Magistery must always remain a secret science, and the reason that compels us to be so careful is obvious. If any wicked man should learn to practise this Art, the event would be fraught with great danger to Christendom. For such a man would overstep all bounds of moderation, and would remove from their hereditary thrones those legitimate princes who rule over the peoples of Christendom. And the punishment of this wickedness would fall upon him who had instructed that unworthy person in our Art. In order, then, to avoid such an outbreak of overweening pride, he who possesses the knowledge of this Art, should be scrupulously careful how he delivers it to another, and should regard it as the peculiar privilege of those who excel in virtue. to give an authoritative opinion about it. It would be foolish indeed to attach any value to a blind man's opinion about a painting; and though these men are so proud of their profundity and wisdom, I very much doubt whether they could build the tower of St. Paul's (London), or remove it from its foundations. But it is more difficult still to believe that they are keen enough to penetrate the most profound secret which this world contains. Well, now, we will say no more about them, but deliver them over to the wretchedness of their own ignorance. shadow out the way of truth. Three of these pictures represent matronly figures of solid silver, and four of them represent men .of gold in flowing garb. On the hems of their garments appear certain letters, the meaning of which I will proceed to expound. "I was once an old iron horse-shoe"—such is the inscription on the garment of one woman—"but now I am the purest silver." "I," says another woman, "was iron smelted from the ore, but now I am become pure and solid gold." "I," says a third, "was once a battered piece of copper: now I am all silver." The fourth figure says: "I was once copper, generated in a vile place, but at the bidding of God I have now become perfect gold." "I," says the fifth figure, "who was once fine and pure silver, am now more excellent gold." The sixth figure proclaims that it was during 200 years a leaden pipe, but is now known by all for honest silver. The seventh says: "A wondrous thing has happened to me—I have become lead out of gold. But certainly my sisters are nearer than I." should be instructed in the seven liberal sciences except those who were nobly born, and brilliantly endowed, and that he who had once devoted himself to knowledge should be bound to spend his life in its pursuit. Hence the Ancients called these sciences the seven liberal sciences, because those who wished to become perfect adepts in them should delight in them in a spirit of liberty. Freedom from all mundane cares is necessary for him who would apply himself thoroughly to the study of human law, and he who wishes to become a ripe scholar in many sciences, has much more solid reasons for turning his back on the world's toils and pleasures. This fact sufficiently shews the ground on which learned men are despised. Yet the glorious memory of the man who increases day by day in the knowledge of truth, can never perish. The man who loves wisdom, justice, and grace, may be rejected in many places, but time will circle his brow with a crown of gold. In the meantime, we must expect that those who love knowledge for its own sake shall be scorned by the ignorant multitude. Nevertheless, it should be borne in mind that though many devote themselves to this study for the sake of mere gain, yet avarice and science are incompatible yoke-fellows; he whose affections are set on mere lucre, will never discover the secrets of this Art. But he who delights in knowledge for its own sake approaches the study of our Art in the right spirit, and such a man is bound to succeed. There is no need to lengthen out this chapter any further, since we have already set forth who they are that may, with reasonable hope of success, apply themselves to the study of sacred Alchemy. Let me repeat that any such person should be a faithful Christian, and a man who is not easily moved from his purpose. He should be free from ambition, free from the necessity of borrowing from others, full of patience and endurance, and of unwavering confidence in God. He should be prepared to follow knowledge through good and evil report. His life should be free from guilt, falsehood, and sin. Such men alone possess mental aptitude for becoming proficients in this science. The next chapter deals with joy and sorrow. death the trustees of his benefaction might neglect the torches, and apply the money allotted to that purpose in some other way, Thus he at length arrived at the conclusion that it would be best to light up his bridge by night with great flaming gems and carbuncles, such as should be visible far and wide, and radiate their splendour in all directions. But here again he was troubled with new misgivings, where such carbuncles could be found, and where he should meet with wise and reliable men, who would travel through all the countries of the world, and procure for him a sufficient number of these jewels. These thoughts caused him so much anxiety, that he wasted away to a mere shadow. All this time, of course, he was firmly persuaded that he had found the true secret of our Art. But when the year came to an end, his Art and all his substance vanished with it; for he had opened his glass vessel and found that it contained neither gold nor silver. Then he flew into a great passion, and cursed himself in the bitterness of his heart. For he had spent all his wealth, and passed the rest of his life in poverty. What more shall I say about him? His case speaks for itself. a source to many whose hopes have been grievously disappointed. this land. You shall be my brother and my heir in respect of this grand secret, which is the despair of the learned. For this reason give thanks to God for this message: it is better than to become heir-apparent to a crown. For only those whom God has chosen next to His own heavenly saints, ever receive this Art by which He is so highly honoured. I will write no more to you at the present time: mount on horseback, and come to me without delay." When I had perused these lines, I set out at the very same hour, and at once hastened to my master, though the distance exceeded a hundred miles. I continued with him forty days, and learned all the secrets of Alchemy (although before I had understood philosophy as well as any other person in the kingdom). Yet it would be foolish to suppose that the work itself can be completed within forty days: I say that I was fully instructed within that time, but the work itself requires a longer period. Then all that had been dark became as clear as the light, when I beheld the secret gates of Nature unbarred; I saw so plainly the causes and the rationale of everything, that it was no longer possible for me to doubt or despair. If you are as fortunate in your master as I, you will never be assailed by despondency. everlasting farewell to this Art of Alchemy. For it will hardly be believed how completely I had been stripped of all that I possessed, although ten trustworthy persons still survive to attest the fact. Indeed the blow was so great that it could hardly have been inflicted on me by human agency alone, without the instigation and co-operation of the Devil. I also made an Elixir of Life, of which a merchant's wife bereft me, and I procured a quintessence, with many other precious preparations, but of all these things I was robbed by wicked men, and thus found, to my smart, that in the sweetest cup of this world's joy, there is a liberal infusion of bitterness. Let me tell you a little more of what has fallen under my observation, concerning the perplexities of this work. The calamity of which I am thinking happened to a good and godly man; and I am the only person that can give a true account of it. time; but at length it was only a source of grief and anxiety to me—and therefore after retiring to that abbey from which I was brought hither, I threw it into a tidal river which is daily renewed by the ebb and flow of the sea. Thus as much wealth has been lost as would have sufficed for the outfit and support of twenty thousand knights, who might have been willing to go forth and recover the Holy Sepulchre. For the love of God, I kept this Medicine many years, in order that through its means I might succour a King who should undertake this expedition. But as this sacred duty was forgotten, the Medicine is now irrecoverably lost." The King replied that it was a foolish act to destroy so wonderful a treasure, and demanded that Dalton should prepare some more of the Medicine. "No," said Dalton, "that can never be." "Why not?" enquired the King. "How did you obtain it?" Dalton replied that he had received it from a learned Canon of Lichfield, whose works he had diligently attended to during many years, until at length the Canon had bequeathed to him as much of the Medicine as he had ever possessed. Then the King gave Dalton four marks, with liberty to depart withersoever he desired; and, at parting, he expressed his grief and concern that he had not known Dalton before. But as it oftens happens that the worst tyrants are found in the retinues of kings, so Herbert now caused Dalton to be seized, robbed of the money which the King had given him, and carried off to Stepney, where he detained him a long time. Thence Dalton was conveyed by Herbert to a castle in Gloucestershire, cast into the dungeon thereof, and kept close prisoner for four years, during which period he was tormented by Herbert in every conceivable manner. At length he was led forth to execution, and when he saw the ministers of death, he said: "O blessed Lord Jesus, I have been separated from Thee too long: Thou didst give me this knowledge, and I have used it without overweening pride. I have not been able to find a fit person to whom .I might have bequeathed my wisdom. Therefore, dearest Lord, I now resign Thy gift into Thy own hands." Then he poured forth a devout prayer, and thereupon turned to the executioner and said, with a smile, "Now thou mayest work thy will." because neither deceit, imprisonment, nor death could induce his victim to yield up the precious secret; and he bade his servants let the old man go, as his obstinacy was not to be overcome. Then Dalton arose, looked about him with sadness and disappointment depicted in his countenance, and departed with a heavy heart; for he had no desire to live even another year. This injury happened to him through the greed and cruelty of godless men. Herbert died not long after, and Delvis lost his life at Tewkesbury. Such are the sufferings which they who aspire to a knowledge of this Art, must lay their account with having to bear. Yet we also see how the greed of wicked men over-reaches itself. For if Herbert had treated Dalton with kindness and gentleness, instead of with cruelty, insolence, and violence, much advantage might have been reaped not, only by the King, but also by the entire commonwealth. Yet we need not wonder that gracious means were not used, for sin reigns everywhere in this kingdom. Otherwise, the people might have obtained great relief from rates and taxes, and much money might have been bestowed in charity among knights, priests, and the common people. Hence we may learn that profligate violence is incapable of acquiring wisdom; for virtue and vice are contrary the one to the other, and men abandoned to the one cannot receive the reward of the other. If vicious persons could gain a full knowledge of this Art, their overbearing insolence would grow unendurable, and their ambition would overleap all bounds; they would by its means become worse men than they were before. Now this chapter respecting the delights and sufferings of our Art is finished. The next will declare the Matter of our Stone. metal or quicksilver. If you destroy its whole composition, some of its component parts will be of use to you. But the principal substances are the two which I have mentioned, namely, Magnesia and Litharge, its brother." visited the earth," he says, "and watered it: Thou hast multiplied its wealth: the fruitful land hast Thou turned into a dry place, and the arid land into a river of water." When it has plenty of meat and drink, it is needful to watch at a time when the body craves sleep. For our labour demands constant vigils and great diligence, and it must be nourished and fed with precious substances. "Therefore let all poor men eschew this experiment," says Arnold, "as this Art is for the rich of this world"—and I myself can attest to ail poor men the truth of these words. "Moreover," he continues, "let the enquirer be patient and of an even temper, for those who are in a hurry will never reach the goal." The length of time required for the purification of the substance, is a stone of stumbling to many who will not believe in it. I advise you, therefore, ye poor, not to attempt the solution of this mystery, but to stay your hands before it is too late. One fourth of an ounce too much or too little may in a single hour mar and destroy the labour of weeks. The substance you must prepare with gentle heat, and so long as there is no violent effervescence, you may keep it over the fire: you should gradually consume it by gentle coction, but it must not be suffered to throw up great bubbles, as such a course would be indicative of haste. Gentleness and patience will mark out to you the safest method, and enable you to avoid the manifold dangers which beset the enquirer's path. One of the most difficult experiments in the gross work, is the classification of our intermediate minerals. The different media that are used must all be in a highly purified state, if the work is to be brought to a successful conclusion. For the pure and impure, the mature and immature, are by nature violently opposed to each other; that which is fixed naturally adheres to fixed substances, and volatile substances are sympathetically attracted by that which is volatile. Everywhere Nature strives to produce harmony by drawing like to like. Now you will find our gross work to be generically impure; and it is a matter of great difficulty and danger, requiring the utmost wisdom of the wise, and confounding the folly of the ignorant, to purge our Substance from all foreign matter. The learned as well as the simple are often led astray at this point, and prove the truth of the saying of Anaxagoras, that all men need to be taught discretion by bitter experience. shews all the rules to be observed in the subtle part of the work. than it is possible for us to enumerate in this place, when he shall have reformed our manners and abolished all abuses. He will investigate this science in secret, and will be instructed in it by hermits, or monks. So King Calid, in his time of need, sought this knowledge of many, until it was imparted to him by Morienus, who succoured the King with his counsel, being removed thereto by his nobleness and virtue. But now we will speak of this subject no longer, but proceed to give an account of the subtle work. He that would understand it must be deeply learned. He should know elementary philosophy if he wishes to study Alchemy. brought about by the operation of moisture and dryness. Aristotle, in his physical treatise, and many others, say that from action proceeds knowledge; thus they call practice the source and root of speculation and of all science. For the properties of all things are perceived by watching their operations, as, from the colour of urine we hear physicians draw conclusions in regard to the excess or lack of animal heat in the body. By means of those four primary qualities, we study the colours in the due order of their succession. But we can have no real assurance respecting the white colour, except in a very pure substance. You will be materially assisted in your task by a knowledge of the way in which colours are daily generated. Colour is the extremity of every transparent body; a clear substance is here beautifully consummated. If dryness dominates in a dry substance, its colour will most certainly be white. Of this fact you may convince yourself by ocular proof in the case of burned bones, or of quicklime made of stones. Where cold prevails in a moist and clear substance, a white colour will be the result, as is seen in the case of ice, or water indurated by frost. The cause has already before been declared in our philosophy; but here I do not speak of common philosophy, but only adduce these facts in illustration of alchemistic principles. And indeed one fact explains another, as the offspring may be known by looking at its mother. If heat operates on a thick and moist substance, a black colour will be the result. is the final colour in Alchemy. The Sages also tell us that pink and orange are colours intermediate between white and red; and that green and grey are intermediate colours between red and black. Flesh colour is seen in very pure substances. Physicians have discovered nineteen colours intermediate between white and black in urine; of these colours one is whitish, like that of the onyx stone. Magnesia appears to partake of this colour—though Magnesia throws out a mild, pure splendour in the subtle stage of our Art; and here we behold all colours that ever were seen by mortal eye—a hundred colours, and certainly a good many more than have been observed in urine; and in all those colours our Stone must be found in all its successive stages. In the ordering of your practical experiments, and in conceiving the different parts of the work in your own mind, you must have as many phases, or stages, as there are colours. 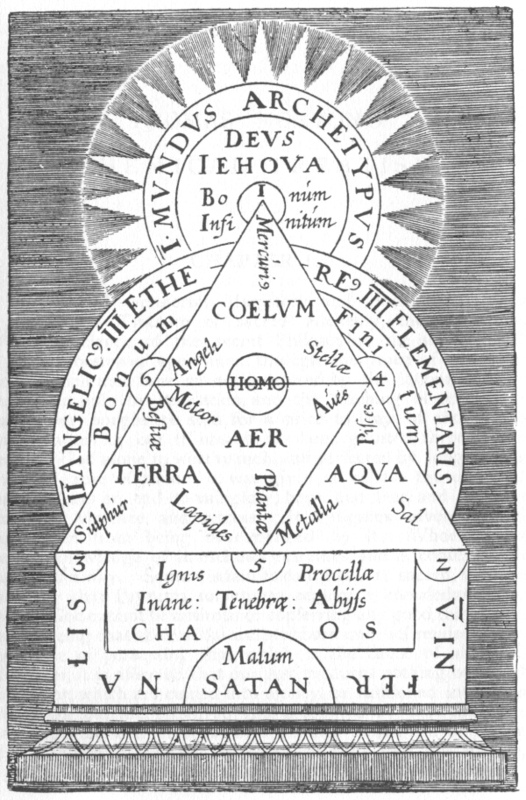 If you do not know the different stages of this Art, you will find them in Raymond's "General Exposition of Alchemy." Gilbert Kymer has indeed left us a fanciful book, in which he describes seventeen proportions. But they do not suffice for this science, of which he was never able to discover the true secret, though he was profoundly learned in Medicine. far as this Art is concerned, we must regard as the mistress of all sciences, (9) the science of Natural Magic. Now, when the four elements have been wisely combined, and each thing ordered in its own proper degree, then we shall behold in the various stages of coction, a constantly shifting succession of colours, until perfection is attained. For the substance is wrought upon from within by the natural warmth, which is found to exist intellectually in our substance, though it can be neither seen, nor felt, nor handled. Its operation is known only to few. When this inward natural heat is stirred up by the influence of outward artificial heat, Nature, having once been roused into activity, will go on to operate, and produce the various changes which the substance has to undergo; and this is one cause, as the Sages will tell you, why so many colours are seen in our work. Many mistakes arise in the study of this Art through ignorance of the difference between outward and inward heat. In order that you may know how these two kinds of heat ought to aid and stimulate each other, and which of the two ought to predominate in our work, you should be guided by the analogy of animate creation, and more especially by the analogy of the coction which goes on in the human body. It was well said by Morienus, that the generation of our Stone exhibits a wonderful analogy to the creation of man, in whom, says Raymond, the four degrees of the four complexions are found together. On account of the close analogy which exists between the generation of man and that of our Stone, it has been said that there are in this world only two microcosms—man and our Stone. less air. Silver may easily be converted into the colour of the lazulite, because the transparency of the silver, produced by air, has a tendency to become assimilated to the colour of the sky; and the abundance of quicksilver which it contains, causes the brilliancy of the silver, while the splendour of the quicksilver, in its turn, is produced by subtle earth, pure water, and clear air. The orange colour, the shade of yellow which appears in gold, is a pleasing colour, and by many is even considered charming; it is generated by a strong and vigorous digestion, as its aqueous elements are exposed to a high degree of heat, which is seen in honey, urine, gall, and lye. The yellow colour of gold is the product of a pure and subtle water perspicuously condensed. For the more pure water is condensed, the more brilliant it becomes. The cause of a mirror is fixed humidity; and for this reason it is also smooth, because air receives no impressions, and is incapable of confining itself. It is the water which produces its clearness. If pure white and pure red be well mixed, the result is a beautiful orange colour. Thus all the different ways in which the elements may be combined, produce different colours in our substance, according to the different degrees of digestion. Observe well the proper colours of elements, that you may be the better able to judge of colours. Physicians say of certain herbs that they are cold without, and warm within at the root. If you wish for an illustration of this saying, observe the nature of fragrant violets. Common philosophy teaches us that the rose is cold within and red without. Anaxagoras says in his "Natural Changes," that the outward and the inward in all things are of a nature directly opposite to each other; and the rule holds true, except in the case of such things as are very plain and simple in their composition, as, for instance, the scammony and laurel, that do not nourish like vegetables. Bear in mind that in every mixture, one of the elements will strive to obtain the mastery. This insolent and greedy disposition is found in man, as in all things beside. But all sorts and conditions of men are placed on a footing of equality by death, which is God's means of laying low men of high degree, and of shewing the vanity of all ambitious thoughts and desires. Kings and beggars find their common level in the grave. It is thus that you must treat your principal agent, if it overleaps the proper bounds of equality. [paragraph continues] In this sense Aristotle says: "Let there be perfect equality in the composition of your Stone, in order that unprofitable strife may be avoided." Let there be all the colours which we have enumerated, in their proper order, and then suffer Nature to bring about the process of generation in her own way, till among this great variety of colours one is found to predominate, which resembles the colour you are seeking to discover. In this way you may make use of the colours for the purpose of guiding you in this work. I might say much more about colours; but what has been said constitutes a satisfactory fulfilment of my promise, and will teach you how far the various colours may be made to serve your purpose in recognising your principal agent. Many learned men indeed will justly wonder that so great a variety of colours should appear in our Stone before the final stage of permanent and immutable whiteness is reached, seeing that the ingredients seem to be so few and simple. But I will explain the mystery in a few words: Those colours are due to the properties of magnesia, the nature of which is capable of change into any proportion and degree, just as crystal, for instance, exhibits the colour of any substance which is placed under it. Hence it is well and generously said by Hermes that "for performing the miracles of one thing, God has so ordained it that out of one thing all these marvels should spring forth." For this reason common philosophers cannot find this virtuous Stone, because it transcends their comprehension. their books as the result of their experience—though I have no experimental knowledge of the fact—that if you mix a sweet and fragrant odour with one of a penetratingly fetid character, the fragrant odour alone is smelt, while the fetid one is imperceptible; and the reason which they allege is that all fragrant things are more pure and spiritual than those which are fetid, and therefore penetrate the air more easily, and, being more grateful to the living organisms and more agreeable to nature, are more readily received than fetid smells. An odour is a vaporous steam dissolved by heat, of a substance resembling an exudation, which penetrates the air freely, and affects it and your sense of smell, as your palate is affected by food, your sense of hearing by sound, and your sense of sight by colour. Four things are required for the perfect apprehension of odours. First, it is necessary that a subtle substance should be affected by the operation of heat, and give out a vaporous similitude of itself, which evaporation must then be dispersed through thin, clear air, and act on the sense of smell. But this odorous vapour is not so readily given out by dense and hard substances which, like our Stone, are not easily affected by heat. Heat quickens odours, cold hinders them; manure is more fetid in summer than in winter. Grateful odours are generated out of a pure and vaporous substance, as in the case of ambergris, nard, and myrrh, which are specially pleasing to women. A pure substance under the influence of gentle heat, gives out moderate odours, such as the fragrance of violets; but when moderate heat acts on an impure substance, the result is a disagreeable odour, such as that of aloes and sulphur. When the natural heat of the substance is diminished, the fact is signalized by a most fetid smell, such as that of decomposed fish. Where a stench is produced by the putrefaction of natural heat, it is a vapour or steam issuing from decaying matter. If the juices only are corrupted, while the substance itself is not destroyed, the stench will be extremely disagreeable, yet not so fetid as in the former case. A putrid smell is caused only by the corruption of the substance itself. When an evil substance is decomposed, it gives out a horrible smell; and putrefying carcases of human beings may often cause a pestilence. The smell of extinguished coals is destructive of health, and may occasion even a mare to miscarry. [paragraph continues] When the qualities of a substance harmonize with your nature, the odour will be pleasant; but if the substance be of a kind that does not sympathise with your nature, you will be disagreeably affected by the odour. Fishes love sweet smells, as is seen from the fact that they are more easily attracted by a fresh than by a stale bait. All fragrant matters have a corresponding degree of natural heat; and though camphor, roses, and other cold substances emit a pleasant fragrance, yet ancient writers tell us that the purity of their substance is equivalent to, and virtually represents, natural heat. You may take for granted the truth of the old saying, that one pleasant smell does not neutralize another. It is different, however, with fetid odours; for the smell of garlic overpowers that of dung. But now we have said enough for our present purpose about smells, and you will be easily able to tell when putrefaction begins to set in. The sense of smell will also enable you to distinguish between a subtle and a gross substance. You will also have knowledge of an intermediate substance which exhibits the corruption of natural heat, and of the difference between corrupted humour and corrupted substance. But our substance has been highly purified, and is conserved by the mean virtue; wherefore, you must not expect a fetid smell to arise from it, though it putrefies after its own proper kind. be useful to us in the preparation of our glorious Elixir, the most precious Philosopher's Stone, for which we daily bless God's name. requires a thousand years, and that, in comparison to that period of time, our work occupies only a single day. You must therefore conduct your operation in a very subtle manner when you see the earth rise above the water; for as the earth which we tread with our feet supports the water, so, in our Art, you should frequently cause a gentle spring of water to well forth, in order that the same may flow softly, seeing that a violent outpour is positively hurtful. Moreover, the student of Alchemy should be aware of the effects of the seven waters, concerning which you must seek instruction in the books of others; for you cannot expect me to expound our whole system in this brief treatise. pervade with its own glorious nature a substance of a thousand times its own size. To this fact I myself can bear witness: for many a time have I seen well-purged metals transmuted into the finest silver and gold. Thus, our Stone may go on growing in quantity, and becoming more excellent in quality, during an infinite period of time; and in this respect it bears a marvellous analogy to the birth and growth of human beings. I must, however, take this occasion to state a truth which may be displeasing to some readers. The time when you first succeed in preparing your Stone should be well and wisely used, or you may even then lose all your pains, and miss your recompense for all the heavy outlay you have undergone. and am able to explain it to others. Those who have ventured to unfold this grand arcanum to their disciples say that the redness of this delectable Stone is contained in its whiteness, and may be brought out, and made to appear to the Artist's ravished gaze by the gently compelling heat of fire. Pandophilus, in "The Crowd" tells us that the white Tincture is the type and shadow of the red; and Miriam confirms his words by saying that the redness is concealed in the whiteness. An admirable book entitled Laudabile Sanctum, ascribed to Hermes, uses the following expression of the Red Tincture: "There lies the snowy wife wedded to her red spouse." That is to say, in the white Tincture you have a beautiful woman of snowy whiteness espoused to a red husband. If your white Stone is exposed to the heat, and through the action of the fire becomes red as blood, then the marriage is valid and perfect—as in the act of copulation, if it be fruitful, the male seed obtains the ascendancy, and assimilates the female seed to its own nature. That this fact is so, those who have observed the nature of the embryo have been taught by experience. When this has been brought about, our Stone is perfected. The Sages say that it should be nourished with its own poison till it has had enough. When this has been done, you may go wherever you like, for it will defray all your expenses. Thus, then, I have expounded to you the subtle part of the work with all its appurtenances, and more I need not, cannot, and will not, reveal. suited to our work. But the very worst of all possible places are those which have been defiled by lechery. The fifth rule is well known to the learned. There should exist a certain harmony between the celestial spheres and our work. Nothing on earth is so simple or so easily influenced as the elements of our Stone; and when they are being prepared they obey their own proper constellations, as the needle yields to the influence of the magnet. Let this amicable concord prevail, then, in a direct and fiery ascendent, and let your happy and favourable ascendent be in fortunate aspect with his Lord. The work should be sheltered from all adverse and evil influences; if these cannot beset aside, let them have a trine aspect. When you prepare the White Tincture, let the Moon be fortunate, as also the Lord of the Fourth House, which is the Treasure of Hidden Things, according to the old Sages. The Sixth House must be favourable for the servants. Preserve your work from all great impediments, and see that it be not affected by the adverse constellation of your Nativity. The virtue of the mover of the orb is the formal influence; the virtue of the eighth sphere is instrumental to it; the virtue of the planet is proper and special; and that of the elements is material, and embodies the working of the other agents. The first resembles the genius of the operator; the second is analogous to his hands; the third corresponds to his instruments; and the fourth answers to the substance which is prepared. Let the things on earth correspond to things in heaven, and you will obtain the Elixir, and become a great Master. Do not trust to Geomancy, which is a superstitious Art; nor to all Astrologers, because this science is secret; like that of Alchemy. Necromancy God forbids, and the Church condemns; therefore, if you wish for success, let your hands be pure from all superstitious practices. Necromancy is of the Devil, and a lying Art. God will bless you if you give yourself wholly to the study of our own Blessed Art. In the next chapter I will speak about the regulation of the fire. elements. One moment of excess, one moment of premature diminution, may mar the labour of months. He that regulates the fire aright is worthy of being hailed as a great Master of the Fire. It is exceedingly difficult to tell the exact degree of heat which any given fire will produce; and here the sense of sight is the only reliable test. No sound or intelligible directions can be given in writing: the only schoolmistress that can impart to you a thorough knowledge of this branch of our Art is experience. It is in regard to this variety of heat that Anaxagoras says: "Nobody is all at once an accomplished Sage." (10) The next kind of heat is of a consuming fierceness. It is employed to smelt very hard minerals. It cannot be too fierce or powerful, even though it may occasionally be necessary to keep it up for some length of time. (11) The next variety of heat is that of calcination, and is used for the purging of impure metals, the essential qualities of which would be impaired by smelting. (12) The kind of heat used for sublimation comes next, and by its means volatile minerals may be sublimed. (13) The last variety of heat is the most important of all. It should be employed at the time of the projection of our Stone. But experience is a good teacher, and I will say no more, except that he who makes a mistake at this point, must begin the work over again. the contents of this volume; and this last chapter I would not have missed for three hundred pounds. Do not wonder, Masters and Friends, that our Science is here so plainly expounded: I set pen to paper with the requirements of the common people in view. For just because the vulgar are not instructed in this knowledge, infinite wealth is annually wasted in this country, as all Sages know, and many others of all ranks are daily reduced to beggary. Study our Art, then, ye uninstructed, and scorn to abide in fatuous ignorance. It is better for you to take to this study late than never. Let all that are benefitted by the reading of this Ordinal offer up prayers for my soul, and for the living and the dead. In the year of our Lord 1477 this Book was begun.